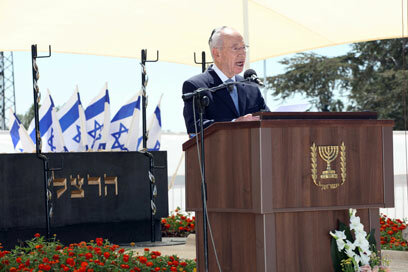 Prime Minister Benjamin Netanyahu and President Shimon Peres on Thursday rejected the idea of a bi-national state during a memorial for Theodore Herzl in Jerusalem. "We do not want a bin-national state," said Netanyahu, adding "but let's not delude ourselves, even if we sign an agreement with the Palestinians it won't end the wild defamatory accusations against the Jewish state." 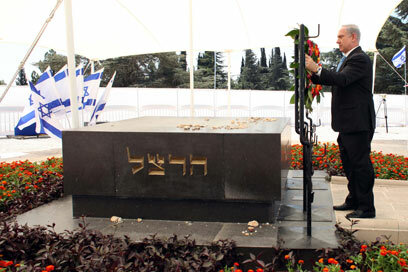 The president stressed that Herzl's Zionist vision was based on values of peace. "Herzl was right when he said that a Jewish state was absolutely necessary. See all talkbacks "Peres, Netanyahu reject idea of bi-national state"